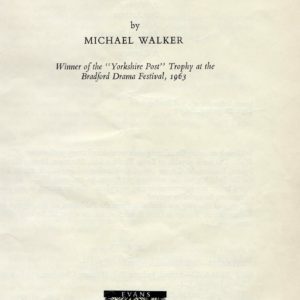 This moving One Act play by Michael Walker was chosen by the Drama Club for its entry in the 1964 Walthamstow Drama Festival. Not all of the cast are recalled at this time but it is hoped that the ‘gaps’ will be filled in due course! 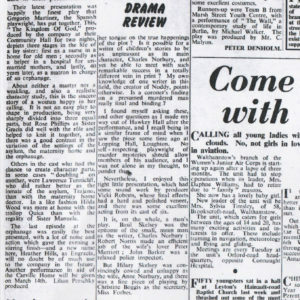 “St Peter’s in the Forest Youth Fellowship triumphed once again in the local round of the Youth Drama Festival held at McEntee Technical School, Walthamstow, on Saturday last. 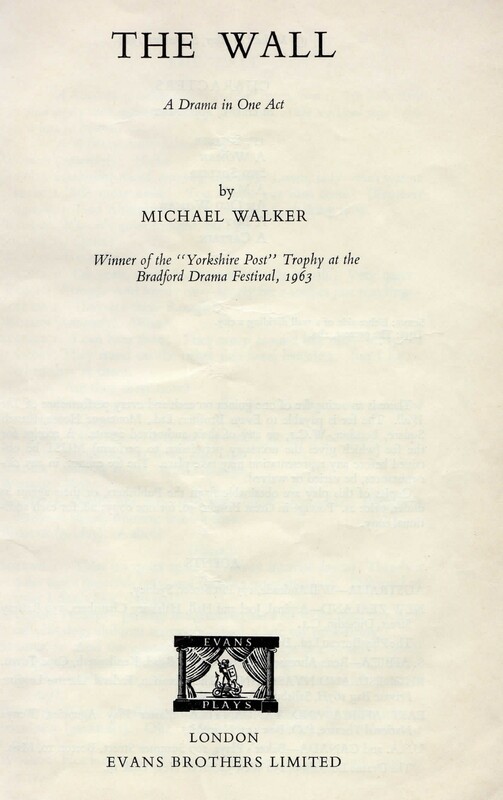 Their performance of ‘Turn Right For Ponte Vecchio’ by T B Morris, in which Lesley Hamilton, Alan Rainbird, Judith Medland, Roger Gayler, Julie Overal and Janice Underdown took part, was placed first by adjudicator Mr K Collins, a new one allocated to the borough. 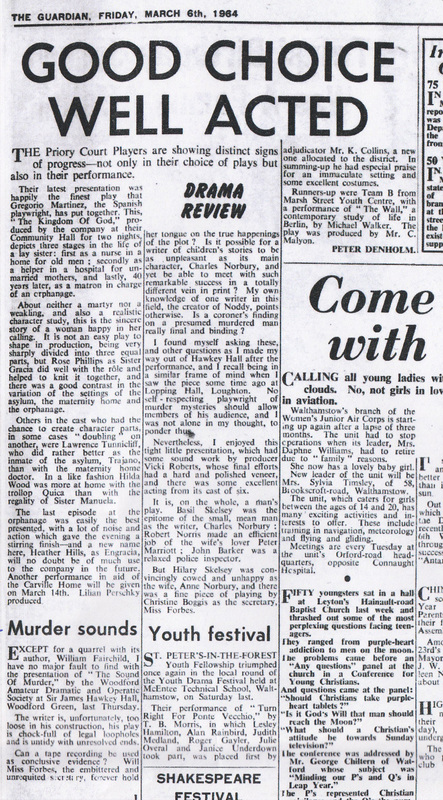 In summing up he had special praise for an immaculate setting and some excellent costumes.